As if I need any additional motivation to host tea parties, a beautiful copy of the gift book Country Tea Parties landed on my door step a few weeks ago. 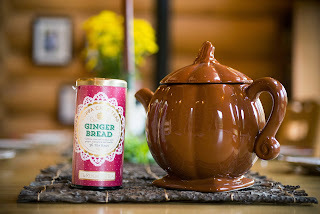 I sat down with it and browsed for (even more) ideas for future tea parties. This book is only 62 pages long and won't take up much of your time. If you have a friend or family member who likes gathering up ideas for tea parties, this is a fun book to peruse. 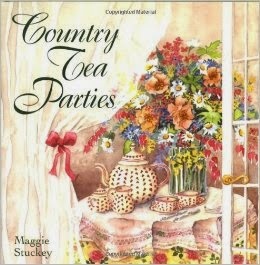 Country Tea Parties is divided up into sections with ideas for each month of the year. Stuckey suggests things like Children's Tea, Bedtime Tea, and a Twelfth Night Tea which I am going to have to do (maybe next year). For each party suggestion she also provides a few recipes for items which you might consider serving to your quests. There are recipes for basic scones, Scotch Eggs, hot cross buns and pastry puffs among others. She also recommends tea to pair with your food which is helpful when you are thinking through themes and flavors. Personally, I enjoyed flipping through this book and I absolutely gathered up some new ideas! At any rate, I had fallen out of practice post-holidays and flipping through Country Tea Parties helped re-motivate me. 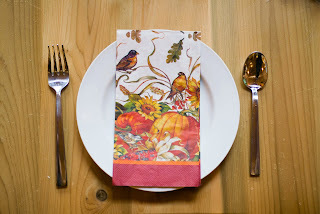 We haven't worked up to a daily tea yet but recently we had some friends visit us and their kids and ours put together a fall tea for our two families to enjoy together. We set a fairly simple table as you can see and served Republic of Tea's Banana Cuppa Chocolate Rooibos (Red Tea) and their new flavor, Gingerbread Cuppa Cake (a Rooibus Red Tea). Back to the tea party though - I always underestimate just how much fun a family tea can be. I don't know why, really, because I myself enjoying sitting down to special meals. This particular tea included foods made by the kids which made it even more fun. Bookworm1 made us a batch of Gingerbread Chocolate cookies and Bookworm3 and her friend made the families some Gingerbread Spice cookies. So our food pared nicely with our tea, as you can see. (smile) We served soup, biscuits, fruit and cookies and had a fine time. Somehow or another tea just makes events more special. Or, perhaps, tea creates events. 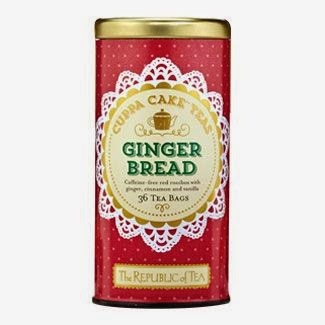 Either which way, I'm always on the look out for how I can improve our experiences with tea and also family time and so I'm glad to have had a chance to peek at this book and also try out a new flavor! It's been fantastic fun. Many thanks to Storey Publishers who sent a copy of the book in order to facilitate this review and also to Republic of Tea who sent a sample of their new tea. I have received no additional compensation for this post and I truly did enjoy all of the above.